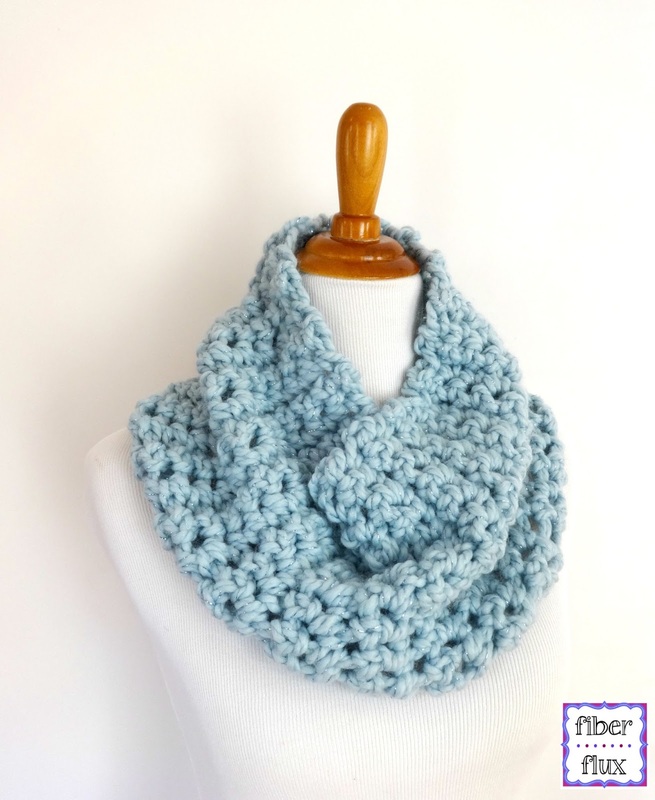 Fiber Flux: Free Crochet Pattern...Finger Crochet Sparkle Cowl! Free Crochet Pattern...Finger Crochet Sparkle Cowl! The Finger Crochet Sparkle Cowl is an easy peasy beautiful cowl that requires no hook! Crocheted with super bulky yarn and your fingers, this cowl is warm and lofty and works up in no time flat! If you have never tried finger crocheting, this is the perfect first project. Be sure to scroll below for a full finger crochet video tutorial too. Not your cup of tea? Grab the largest hook you can find and crochet along with us! Row 2: Chain 1 and turn. Work a sc in the first stitch and in each stitch across. Repeat row 2 until piece measures 25 inches from where you started, do not fasten off. Finishing & Assembly: Sandwich the two ends together so that the stitches line up evenly (edge where you began and edge where you worked the very last row. 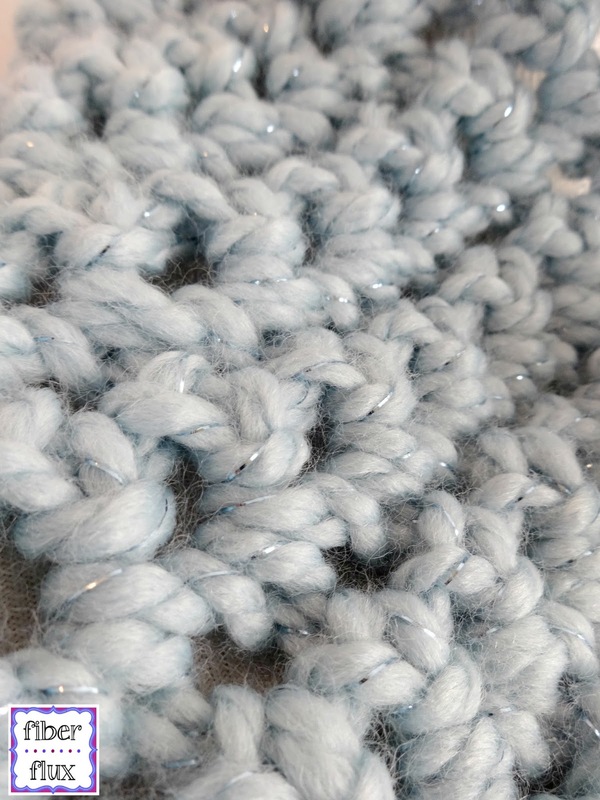 Seam edges together by working a single crochet into both layers. When you reach the edge, fasten off and weave the ends with your fingers. That looks like fun. Thanks for the tutorial. I've been knitting & crocheting for many years. This is something that I've never seen before !! I love it !! It just goes to show that you're never to old to learn something new . I'm going to make these !! HI! Thank you for the beautiful cowl pattern! If I wanted to use a hook, would you suggest a P or Q? I would suggest a Q hook, but a P hook will certainly work as well. It all depends on if you're wanting a loose finger crochet look or a tight looks like it was done with a hook type of look. I too also would like to say Thank you for these tutorials and patterns. I've only been finger crocheting for a few years now but really enjoy it. I would definitely -love- to see more tutorials on finger crochet as you make it look so easy. You also finger crochet like I do.- Using finger as hook. That makes it easier to follow along.